Seagull guitars are built in LaPatrie, Quebec. 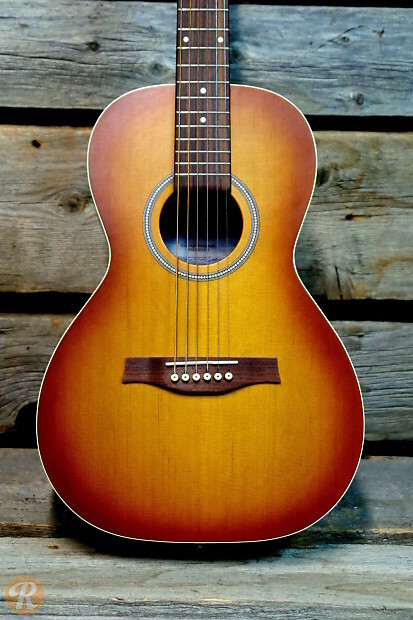 Designed by revered luthier Robert Godin, they combine handcrafted tradition with 21st century techniques to create quality solid-top acoustic instruments at affordable prices. The Entourage Rustic Grand features a compact parlor body style. 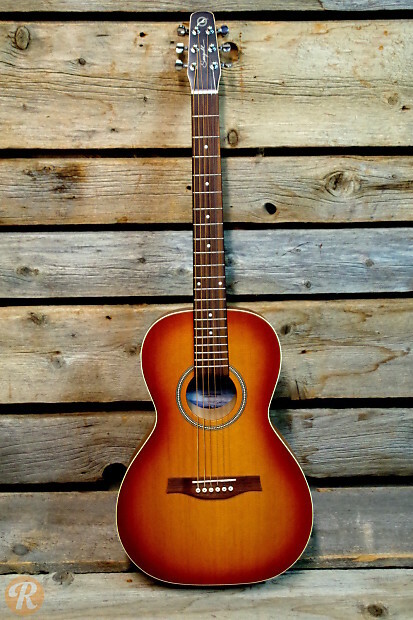 It sports a solid cedar top and cherry wood back and sides in a sunburst finish.